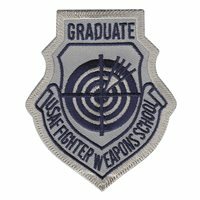 The USAF Weapons School, as it is known today, developed from a corps of World War II combat veteran fighter pilots. In the late forties, a cadre of these self-taught experts was brought together and established the USAF Fighter Gunnery School. In 1954, the school assumed its primary mission, the training of gunnery instructors for the USAF as the Fighter Weapons School. 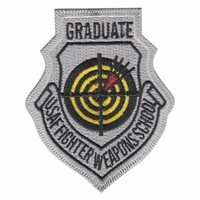 With the stand-up of Air Combat Command in 1992, the word "fighter" was dropped to become the USAF Weapons School.